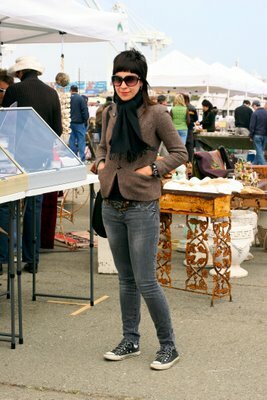 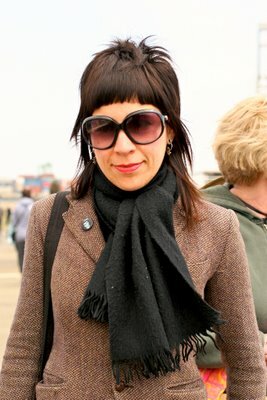 I love her haircut, her large sunglasses and her small fitted blazer. 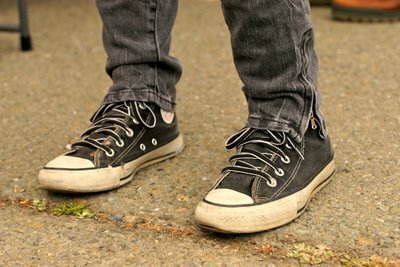 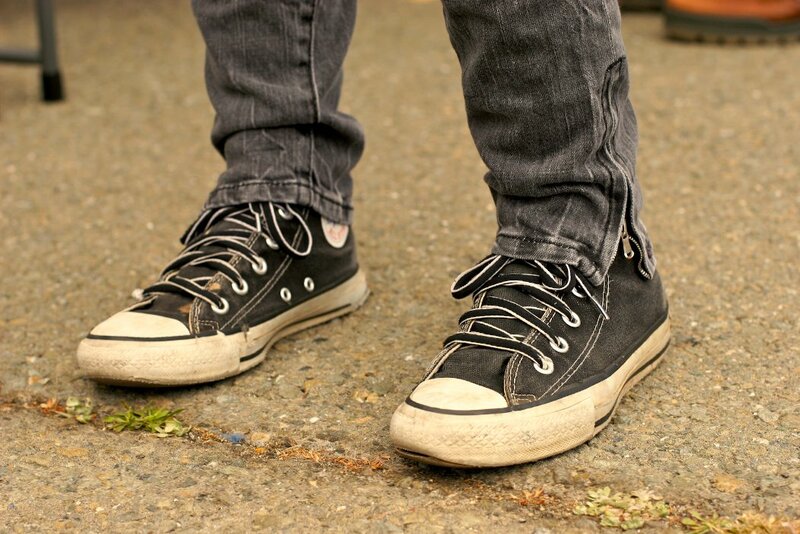 I like the zippers on her jeans and how she changed the laces on her Converse. her leather cuff/watch and belt are pretty nice.